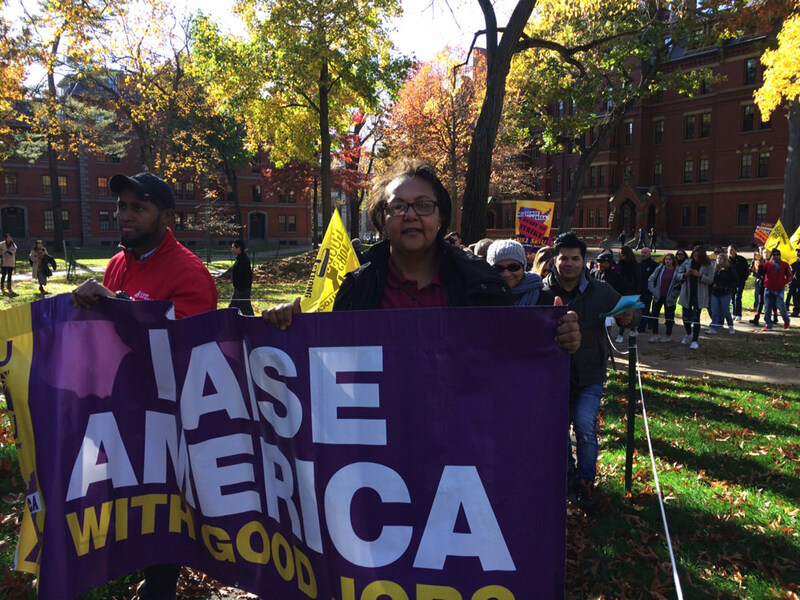 Janitors rally for wage increases earlier this month in Harvard Yard. 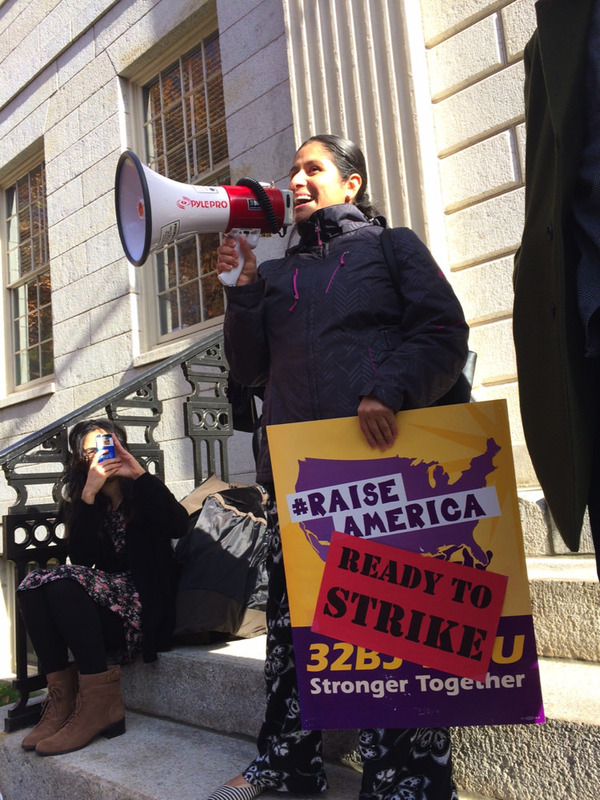 Janitors rally for wage increases in Harvard Yard. For a moment, it appeared that Harvard’s custodial staff might follow the dining workers’ decision to strike, a move that last month helped them win a $35,000 minimum income and concessions from the University on healthcare benefits. 32BJ SEIU, the union that represents 700 custodial workers, reached a tentative contract agreement with the University at around 1 a.m. Wednesday morning, just a few hours after their contract expired. Janitors will receive wage raises of 12.5 percent over the life of the four-year contract, similar to the raises that dining workers will get under their new contract, and those that the Harvard Union of Clerical and Technical Workers, the University’s largest union, received earlier this year. Because custodial staff members earn slightly more per hour than dining-hall workers, and most of them work year-round rather than the seven and a half months per year that the typical dining worker does, their financial situation is notably better. The typical custodial worker earns $22.07 per hour and $45,676 per year, according to the University; that hourly wage will increase to $24.67 by the end of the contract. 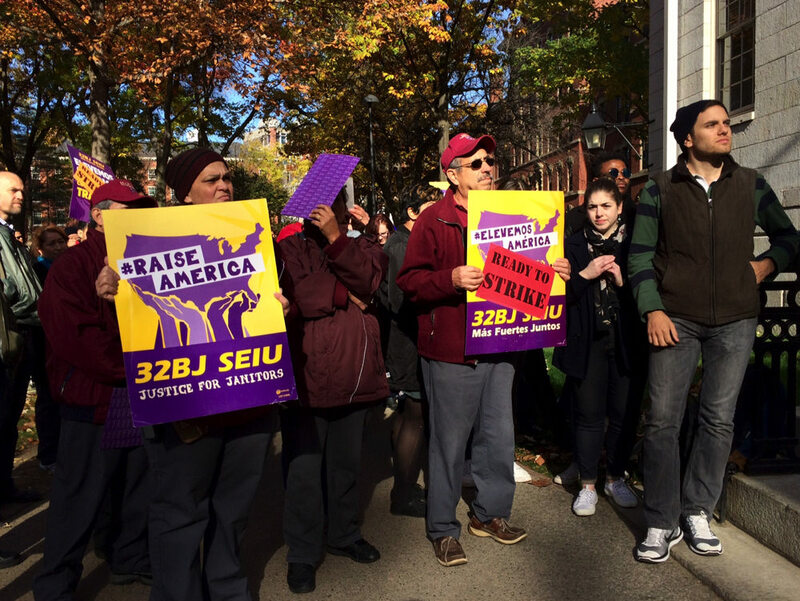 32BJ represents thousands of property-service workers in and around Boston, including workers at many universities. Last month, janitors at Tufts also averted a strike and negotiated a contract that will raise their wages to $21.55 per hour after four years. In a year of unusually intense focus on labor issues at the University, Harvard’s graduate and undergraduate teaching and research assistants are voting this week on whether to form their own labor union.